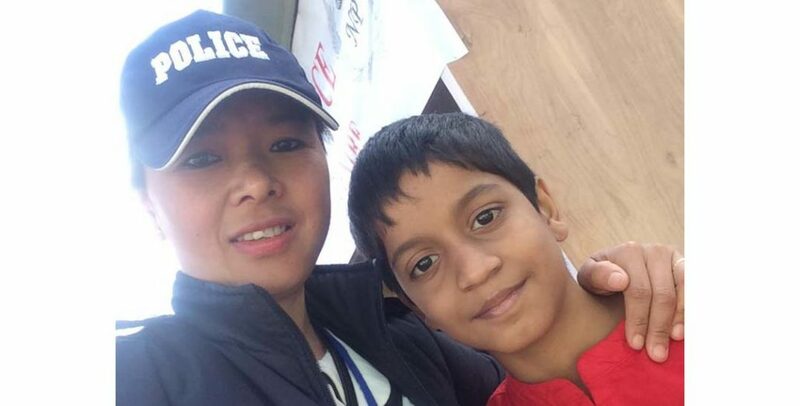 TheNagaland Tourist Police has drawn attention of all after it re-united a little boy with his parents from Mumbai after he got separated during the ongoing Hornbill Festival. According to information, the little boy, who has been identified as Vinayak Tendulkar got separated from his parents – Sanjay Tendulkar and Anshuka from Mumbai – while watching cultural shows in the main arena of Kisama village near Kohima in the ongoing Hornbill Festival. It may be mentioned that Nagaland Chief Minister Neiphiu Rio on November 26, 2018 launched the Nagaland Tourist Police at the police headquarters in Kohima to ensure a safe and friendly environment to the tourists during Hornbill Festival. The Hornbill Festival, which started on December 1 at Kisama will continue till December 10, 2018. Nagaland is the second State in the Northeast to have launched tourist police after Arunachal Pradesh. Chief Minister Rio, while launching Nagaland Tourist Police, expressed his happiness to see the special tourist police squad. The special Nagaland Tourist Police squad — comprising 73 police personnel, including 50 women police from India Reserve Battalion — was given a specialized training for five days by the Nagaland Police, along with the state tourism department, last week. Nagaland Police also organized an orientation programme for the special police squad at the police headquarters in Kohima on November 17. Tourist police has been introduced in the State to protect and serve the tourists, build up their confidence, create hassle-free and memorable stay, avoid any harassment and help them on matters relating to passport, VISA, currency exchange, etc. The special tourist police squad is equipped with the knowledge of the Naga culture to provide proper information to the tourists. Tourist police personnel have already been deployed in Dimapur Railway Station, Dimapur Airport, Chumukedima Police Check gate and 12 sectors in Kohima. There are also Tourist Police Assistance Booth at the airport and railway station in Dimapur.